At least 43 patients in the north and north-east died last year as they waited to be discharged from hospital, it has emerged. The deaths were revealed in new data which showed that across Scotland more than 300 patients were condemned to a hospital death, despite being declared ready to go home. Last night politicians said it was tragic that elderly patients were denied the chance to leave hospital to die with their loved ones. The figures highlighted the problem of delayed discharge or bed blocking. It refers to patients being trapped in hospital because they are waiting for social care packages, which can enable them to be looked after at home. 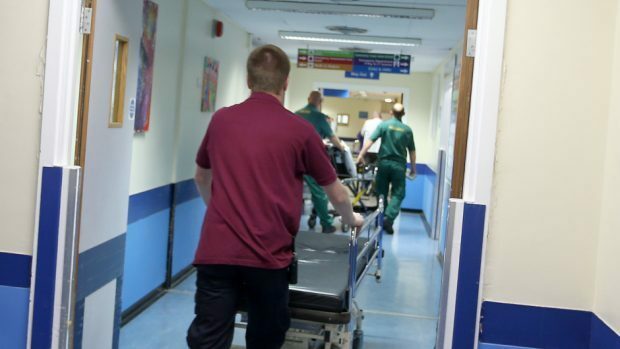 Delayed hospital discharges cost the NHS more than £120 million per year and also result in hospital beds being “blocked” for use by other patients. According to the figures obtained by Scottish Labour under Freedom of Information legislation, 33 NHS Highland patients died while waiting to leave hospital from the beginning of 2018 until September last year. There were six deaths within NHS Grampian up until September last year, three in the Western Isles and one in Shetland. None was recorded in Orkney. Labour Highland and Islands MSP David Stewart said: “It is so tragic that more than 30 people in NHS Highland died while stuck in hospital, rather than at home with loved ones. That Highland recorded one of the highest counts of this in the country should be a cause for real concern. NHS Lothian had the most deaths of patients waiting for discharge with 104 last year. The next highest was NHS Lanarkshire with 53 followed by NHS Greater Glasgow and Clyde with 35. NHS Tayside did not provide figures purely for 2018. NHS Ayrshire and Arran and NHS Forth Valley recorded 23 deaths each. There were 12 in NHS Borders, 10 in Dumfries and Galloway and five in NHS Fife. Sarah Duncan of the Aberdeen City Integration Joint Board which oversees health and social care said progress was being made on bed blocking. “But we are not complacent and the work to address the issues will continue to be a priority,” she added. NHS Western Isles said action had been taken to reduce delayed discharges. A Scottish Government spokesman said: “We’re committed to ensuring that delays to discharge from hospital are minimised, and the ongoing integration of health and social care has been key to achieving progress in recent years. This has seen year on year reductions in the number of bed days lost due to delays over the last three years.